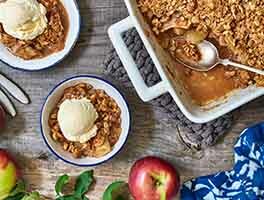 Everyone loves apple crisp, and this version with pears is sure to become a family favorite as well. It's warm, comforting, and just the right way to end dinner on a chilly fall evening. There's a high ratio of topping to fruit here; if you prefer more fruit, simply double the amount of pears. Preheat the oven to 400°F. Grease a 9" x 13" baking pan. To make the filling: Mix the pears with the sugar, the lemon oil or juice, the flour, and the cinnamon. Put the filling into the pan. Set aside. To make the topping: Mix the pecans with the flour, cinnamon, brown sugar, and oats. Cut in the butter until the mixture forms coarse crumbs, about the size of peas. Sprinkle the topping on the fruit. 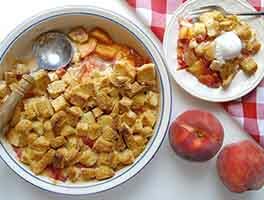 Bake the crisp for 30 to 40 minutes, or until the topping has become golden brown and crunchy, and the fruit is bubbly. Store, covered, in the refrigerator for 5 days. To toast pecans, preheat your oven to 350°F. Place the pecans on a tray and toast for 5 to 10 minutes, stirring frequently, or until lightly browned and aromatic. This has a lovely flavor, but the texture is a little off-putting, being mushier, like applesauce with slices of pear in it. We received a lovely shipment of pears for Christmas and they were ripe for eating, so I used them in this recipe for Christmas dessert. I found peeling and chopping this many pears a pain, frankly - I love the flavor of pears but they are very juicy and slippery. Next time I'll use them when they are hard like apples, then the finished product won't have that mushy texture. Great flavor, the only change I made was increasing the oats to about 3/4 cup and using a bit less pecans (about 3/4 cup) due to family preference; per another reviewer's comment about needing salt, I put about 1/4 tsp in the topping and the fruit mixture (1/2 tsp total), and added 1/2 tsp ginger to both the topping and the fruit. 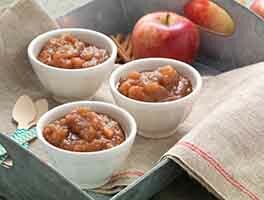 Yummy, and I would make again with firmer pears. Love, love, love this recipe (although I did play with it a bit)! This time of year we are long past pear season in south Georgia, so for the filling I used 3 pint jars of the pears I canned in August (I started with 2, but that seemed a bit skimpy). I also sprinkled in just a bit of my KAF mini diced crystallized ginger. The rest of the recipe I followed exactly, and it was a hit at the pot luck! 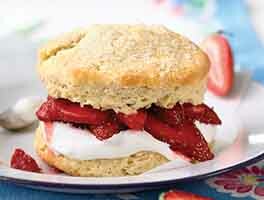 This is a recipe that is going in my permanent file-- not too sweet, not mushy or dry. My only problem is that there is none left. Very Yummy. Had exactly 8 pears so decided to make this. I have never had pear crisp before and this was great. Loved the toasted pecans in the topping. Quick and easy to make. Nice, easy recipe. I will definitely make it again with other fruit. But it needs salt. I used salted butter and even with that, it needed salt. Maybe 1/4 t to 1/2 t. But it's a very good recipe.